When we moved into our house 2 1/2 years ago, we inherited light colored pergo floors and a white-washed banister. The banister had a bit of a pinkish hue to it, all the rage I'm sure in 1992 when the house was built, but we always planned to update it. 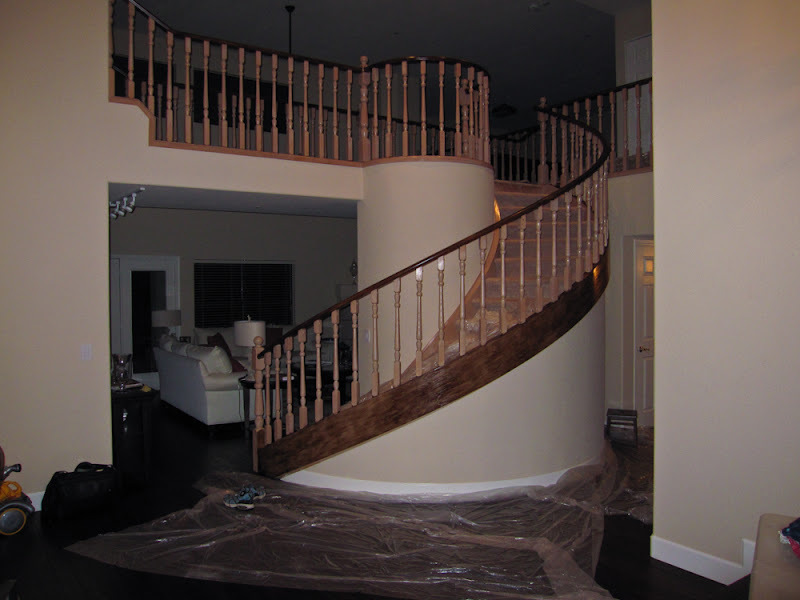 Before even moving in, we had new dark walnut floors installed but the banister proved to be more of a challenge. 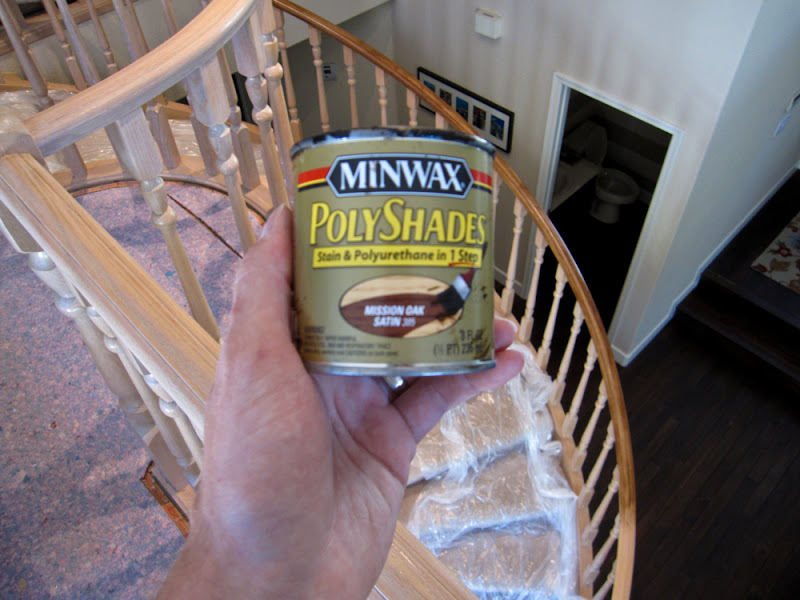 We figured the painters could just stain it for us while they were painting the rest of the house. Unfortunately, it was too big of a task for them and they said they couldn't even attempt it (that's what we get for going with someone called "Fast Eddie" ; ) So we moved into the house with the banister looking like this, figuring we'd get to it soon. 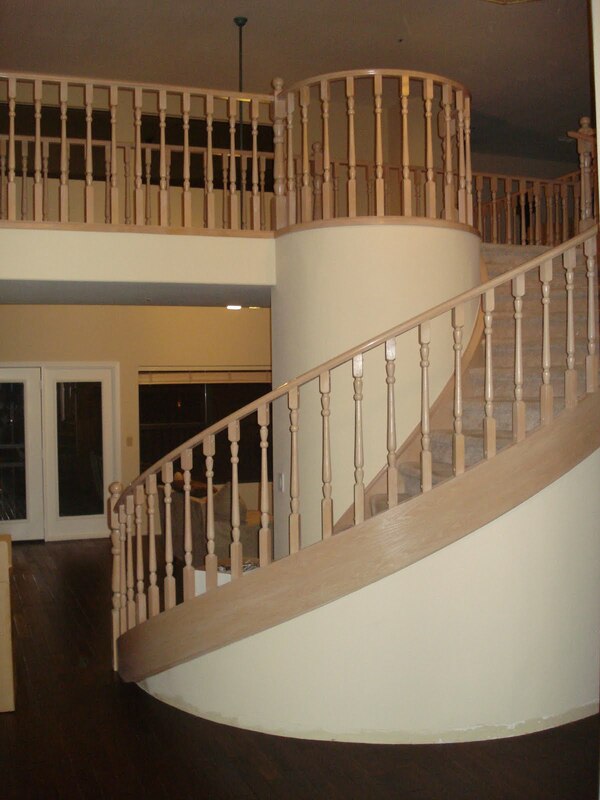 But it's a beast of a banister. Seriously. 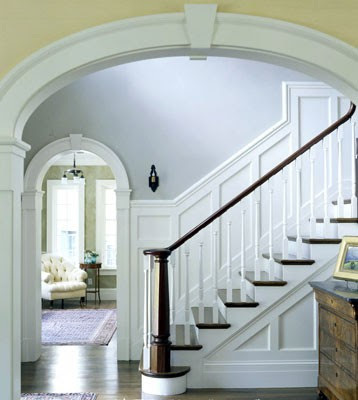 Our goal is to have something similar to this house, dark stain on the top and bottom and white painted spindles. It's taken until now though for us to start the project (and by "us" I mean "Max" since staining involves nasty fumes I shouldn't be around being preggers and all). Before anything can be stained, it must be sanded and then wiped down with a tacky cloth. This part I can help with (but seriously 99.99% of all the work has been my incredible husband who started the whole project when I was out of town). 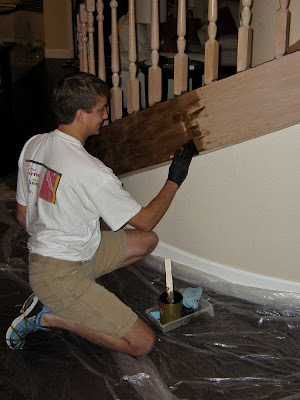 This is the stain Max chose, which is working out quite well! And this is where the banister is right now! The bottom needs another coat of stain which will make it darker, and then all we Max will have left is to paint the spindles white! 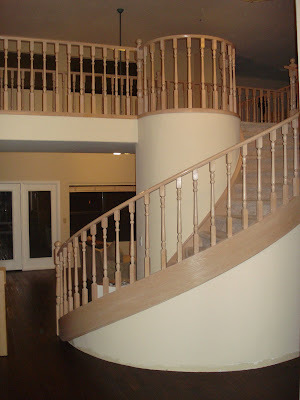 I've always wanted a nice staircase for our apartments in pasadena. 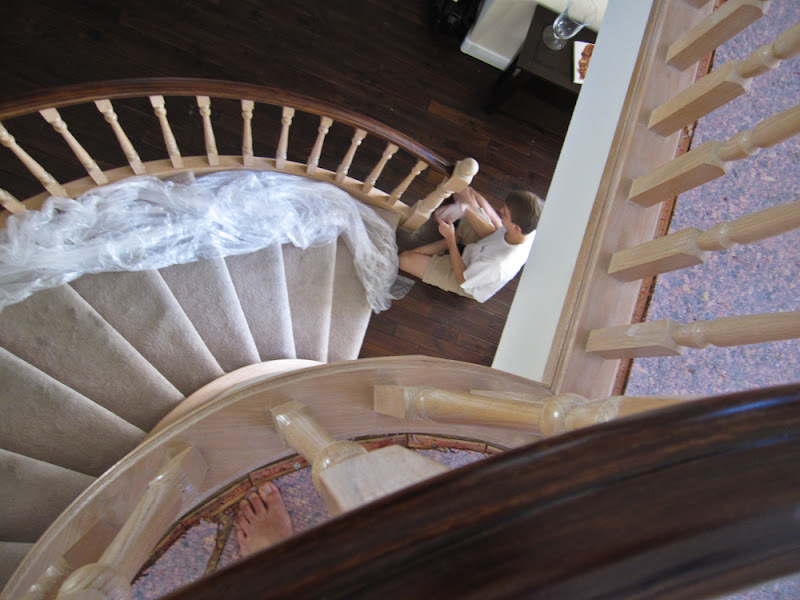 Good job on the staircase! Doing your own home improvement can save you tons of cash instead of paying a contractor for your Provo utah apartments. 5 Months Pregnant with the Bean!